Dunkirk opens as hundreds of thousands of British and Allied troops are surrounded by enemy forces. Trapped on the beach with their backs to the sea they face an impossible situation as the enemy closes in. 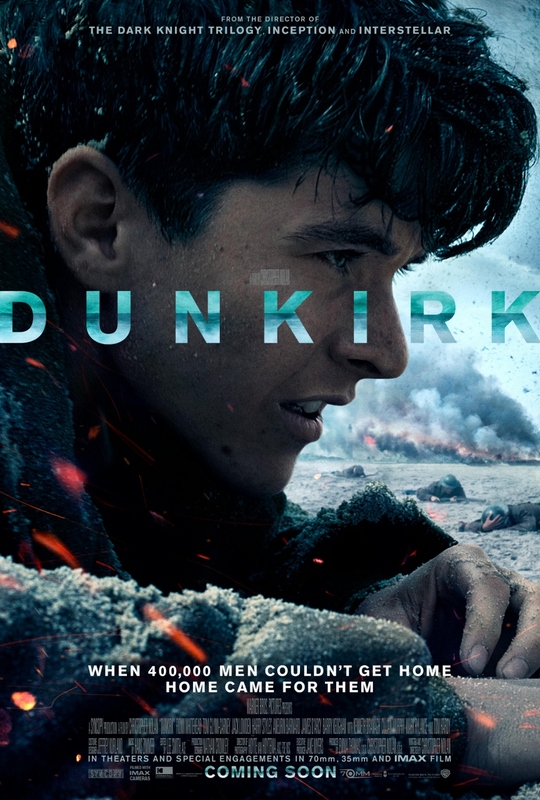 Dunkirk features a prestigious cast, including Tom Hardy (The Revenant, Mad Max: Fury Road, Inception), Mark Rylance (Bridge of Spies, Wolf Hall), Kenneth Branagh (My Week with Marilyn, Hamlet, Henry V) and Cillian Murphy (Inception, The Dark Knight Trilogy), as well as newcomer Fionn Whitehead. The ensemble cast also includes Aneurin Barnard, Harry Styles, James D’Arcy, Jack Lowden, Barry Keoghan and Tom Glynn-Carney.